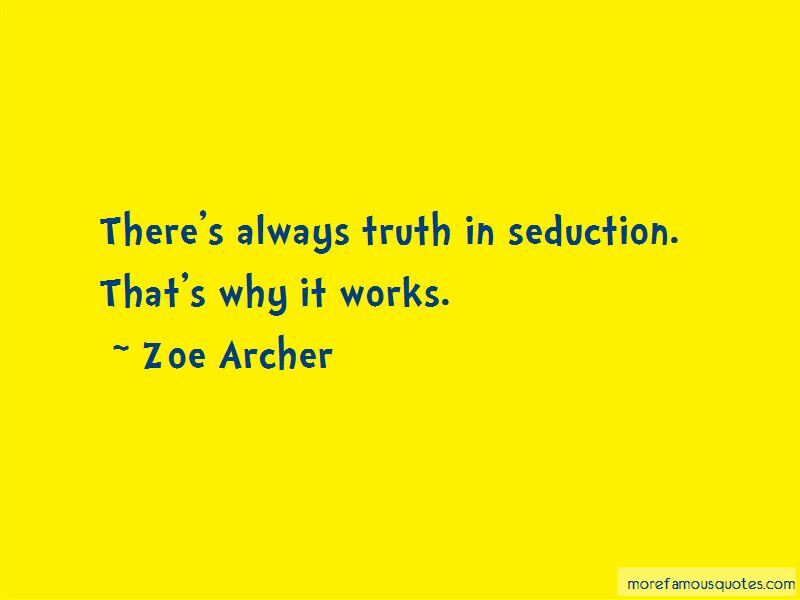 Enjoy the top 10 famous quotes, sayings and quotations by Zoe Archer. Men," she said rueful, "are the most absurd creatures on this green earth." "But there are camels," Gabriel pointed out. "Believe me," she answered. "I've taken camels into consideration. Do you ever have ordinary days?" she asked as they ascended the stairs. "Why would I want them? “You mean," she breathed, "you're in love with me?" “You don't have to fight anyone for me," she said. Oh God. He leveled her with a few words and searing looks. She felt herself in a dizzying plunge, wanting the flight, worried about the landing. "I give as much as I am able," she said. I know that you'll survive the upcoming battle," he said, "because I'll be fighting right beside you and I'll lay down my own life to protect yours." "I ... oh," she said. It took her some moments to understand. "You ... will come with me?" "Your fight is my fight," he said. Stark and direct, his words filled her with unsparing joy. "Your cause is mine. And more than that. Your heart is my heart. I love you, Astrid. My place is with you. Always with you. 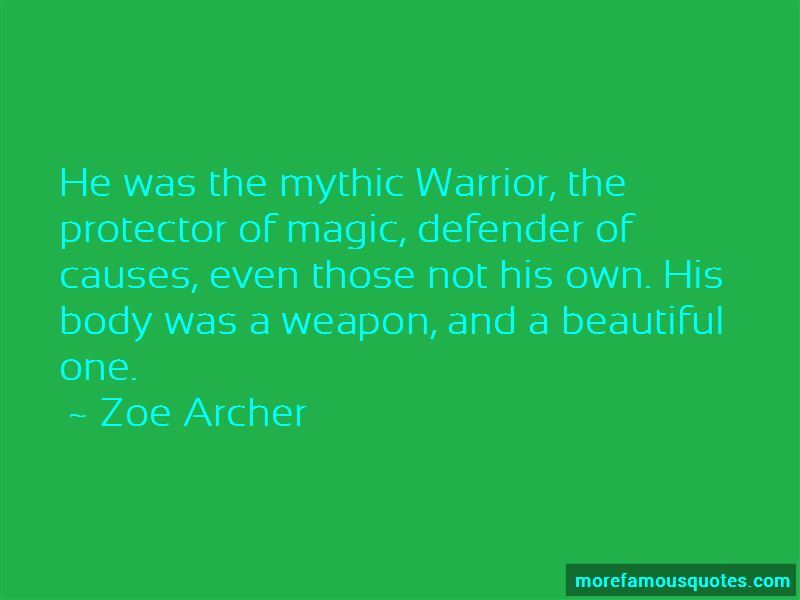 He was the mythic Warrior, the protector of magic, defender of causes, even those not his own. His body was a weapon, and a beautiful one. 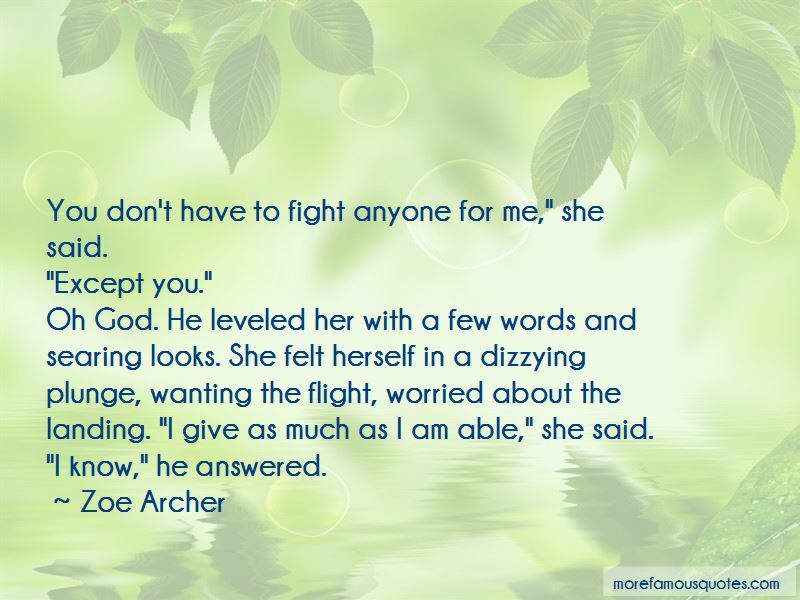 Want to see more pictures of Zoe Archer quotes? 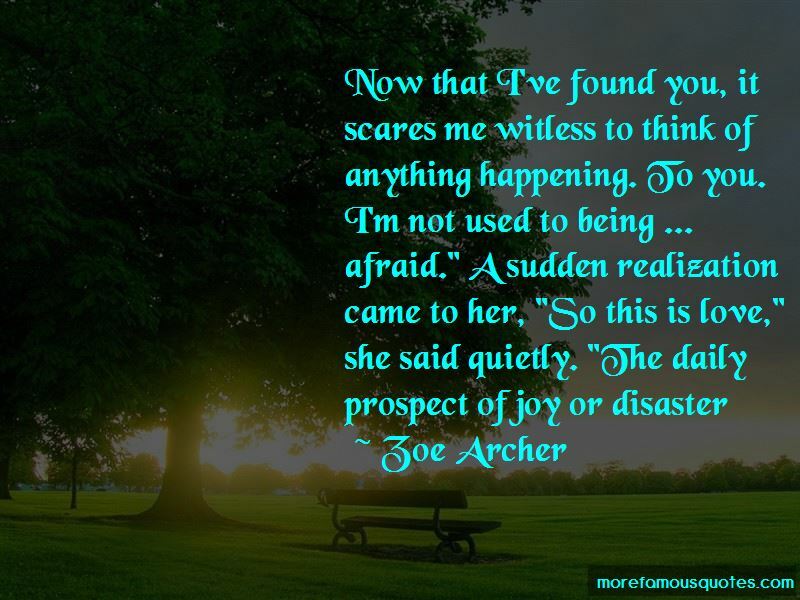 Click on image of Zoe Archer quotes to view full size.